Successfully Added Luxury Waterproof LCD Screen - 10.4 Inch LCD Display -PAL Tuner to your Shopping Cart. For the ultimate in luxury as you take a bath or are working in the kitchen, very few items can beat this multi-functioning totally waterproof LCD TV with an amazing 10.4 Inch TFT LCD display. 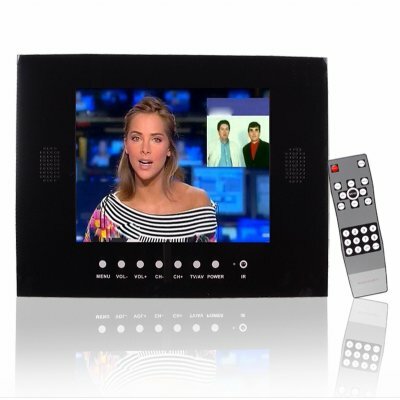 Readily able to be mounted or embedded into walls, this waterproof LCD comes with such useful features as AV IN, an TV antenna in for watching TV and for real fun a VGA IN for connecting your computer as you soak. With the equally waterproof remote control, take your time in the tube as you browse though TV programs. A true bathroom luxury item, direct from China at below wholesale pricing. This product uses a PAL/SECAM Analog TV Tuner. If you need an LCD with a NTSC TV tuner these please order CVEWP-TW104-PAL.